Ooooh, love that tree and your elegant and simple layout. what a wonderfully simple elegant card - love it! The paper is perfect, J.B. I'm ready for take two ... to one hundred! Love this! Is that paper still available from SU? You have done some great things with it. I agree about trying to get the cards ready early enough to have fun sending them - or even actually sending them! WOW Joan, this is just PERFECT!!! It is elegant, festive and beautiful. THANK YOU so much for the inspiration! Striking, love it, clever you! 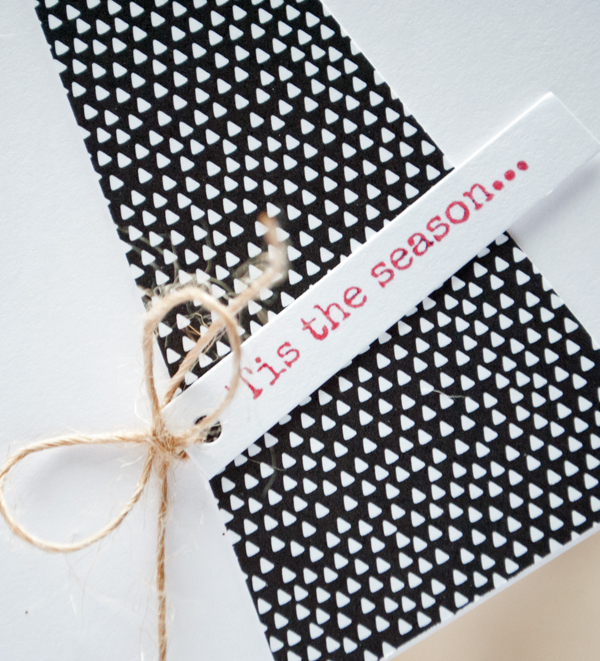 Love your graphic tree and fun sentiment! Such a perfect Christmas card, Joan! Thank you so much for leaving such sweet comments on my blog...I really appreciate it! I think this is such a cool idea and I'm going to have all my cards ready by Easter this year so will get them out in time for Christmas 2016!! Yeah right! 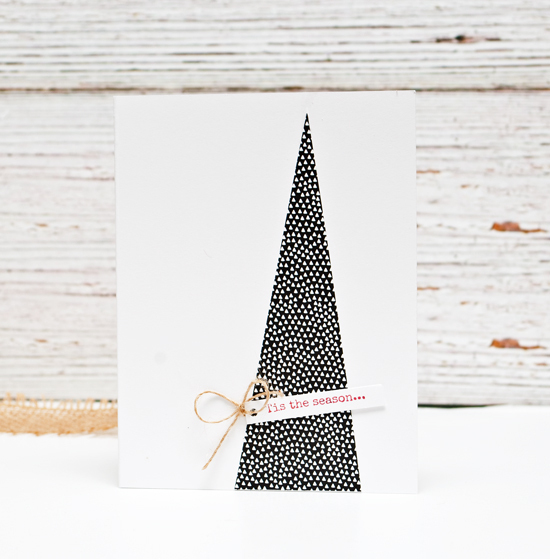 Love this design and that you used black/white paper for a Christmas card. Very cool and funky! !